Councillors have opted out of developing a flexi-schooling policy. 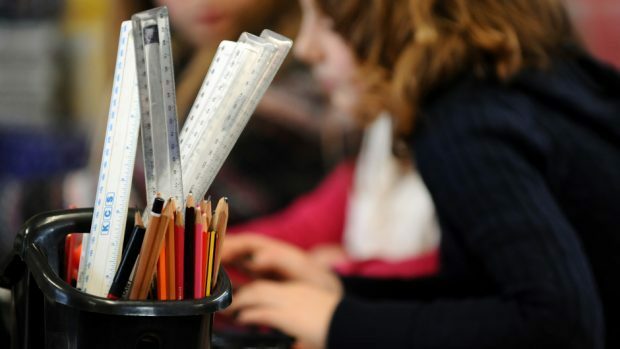 Education chiefs have decided against exploring flexi-schooling as an option for pupils going forward. The initiative would have allowed parents to limit the number of days their children spend in school and combine class-based lessons with alternative provision such as outdoor learning or home schooling. North Kincardine councillor Alison Evison had called for further research to be carried out by officers with a view to it potentially being included as an option for parents going forward. However, her motion to analyse and create a policy, which was seconded by Fraserburgh and District councillor Charles Buchan, was voted down by committee. But an amendment to include the system as part of the authority’s home schooling guidelines was passed. Mrs Evison said: “It was disappointing that we could not get agreement from the Tory/LibDem led administration to include the words ‘flexi-schooling’ in the process going forward. “This would have given a clearer indication that the needs of each individual child will be given priority. “However, we can take comfort in the fact that Aberdeenshire’s Home-Schooling policy will now be updated and we will work to ensure that flexi-schooling is clearly addressed within this. Perceived advantages include the freedom of parents to spend more time with their children, and providing children with the opportunity to learn more in-depth than they might at school, with more out-of-school trips and individual adult attention. However, some of the downsides to the system include the potential for it to lead to resentment from peers who do have to attend school five days a week. There are also fears it could have an effect on the child’s attainment, especially if they are not taught in the same way that the school teaches in preparation for assessments and exams.